The Kettering Police Department values its volunteers. Our volunteers are involved in a variety of functions, and they are indispensable! These dedicated individuals help with Speed Watch, alarm administration and assistance with our Property Room, Community Relations, Operations and Records sections. 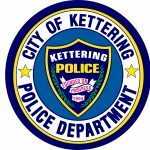 If interested in volunteering at the Kettering Police Department, please contact the Volunteer Office at 296-2433.